How do you cool yourself off when you’re feeling hot, hot, hot? Grab one of these frozen treats, and we guarantee you’ll feel better instantly. Psst- looking for more cold, cream delights in Chicago? Check out Part 1 of our frozen treat guide! The remarkable Scooter’s Frozen Custard normally has a line out the door – the surest sign of a good product, and we assure you that their rich, creamy treats are worth waiting for. People in Chicago have made this spot a family tradition. Sit inside or use their walk-up window if you have a puppy in tow. Custard is a little richer and creamier than ice cream, but who’s complaining? You can find Scooter’s Frozen Custard at 1658 W Belmont Ave.
Mario’s Italian Lemonade doesn’t just sound authentic; this place is the real deal. With real chunks of fruit, Mario’s ice is fresh and impeccably sweet—you can see why people have been coming back for over 25 years. The ices are an incredible mix of lemonade ice, and fresh fruit and juices. When you get your ice, hang out around Mario’s—part of the experience is enjoying it with Chicagoans, students from the local college, and visitors alike. 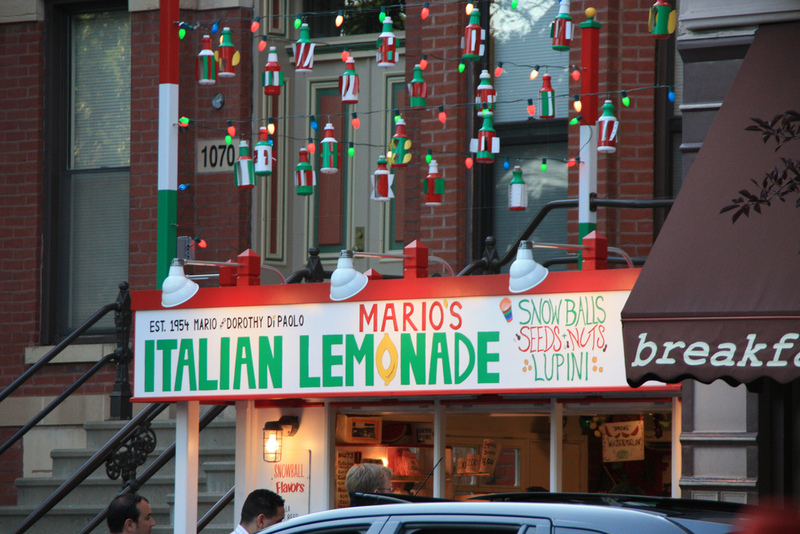 You can find Mario’s Italian Lemonade at 1068 W Taylor St.
Open since 1921, this family-owned ice cream parlor is the epitome of old-school charm. You cannot pass up one of their shakes—these extra thick and creamy milkshakes are all topped with whipped cream and a cookie. If you want to go all out, go for the Fudge Royal Shake and you’ll get banana and fudge in addition to their traditional shake toppings. 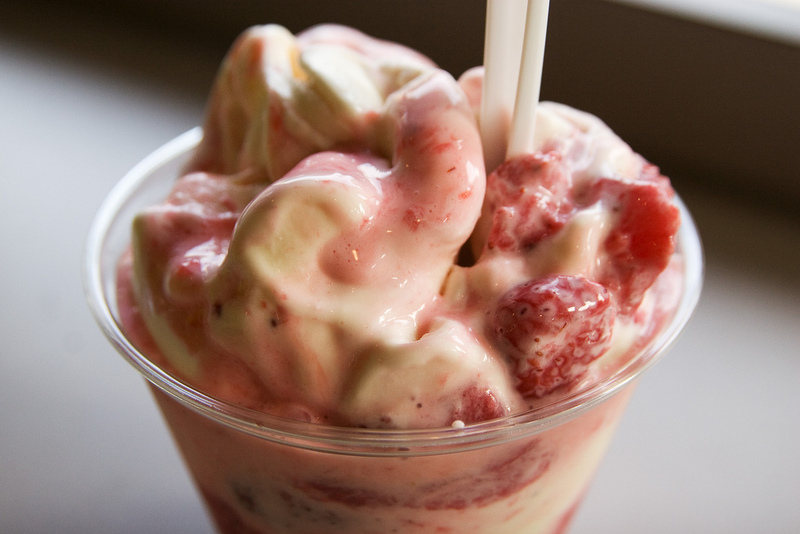 Choose from sixteen flavors of creamy deliciousness and enjoy a good old-fashioned milkshake at Margie’s Candies. 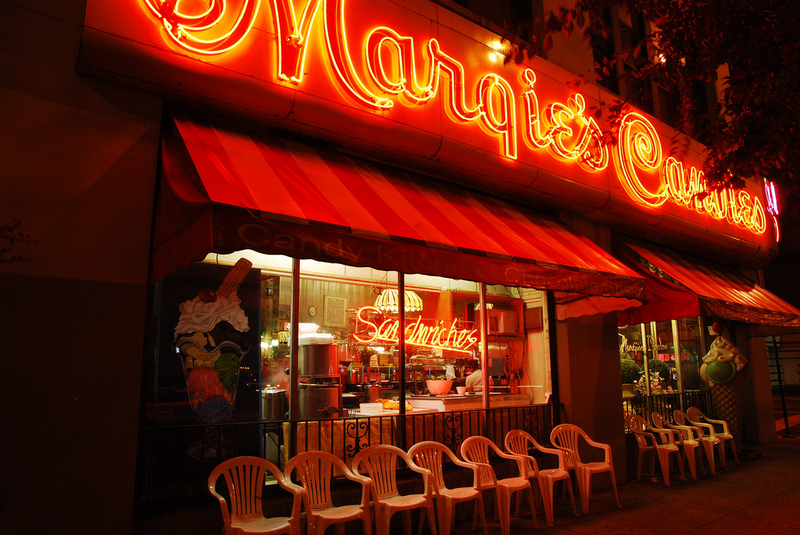 You can find Margie’s Candies at 1813 W Montrose Ave. This entry was posted in chicago and tagged chicago, cool off, family friendly, frozen custard, frozen treats, ice cream, italian ice, kid friendly, milkshake, milkshakes, shake, shakes, summer. Bookmark the permalink.